Manuel Neuer has missed Bayern Munich's past two matches and the goalkeeper could be absent against Schalke on Saturday. 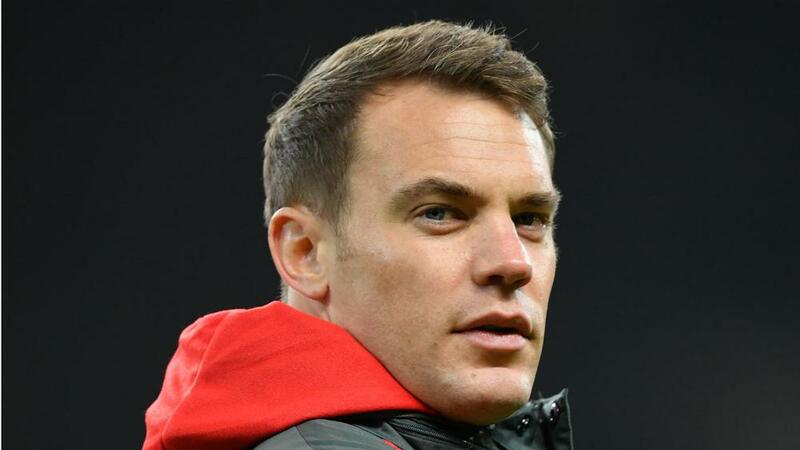 Niko Kovac has suggested Manuel Neuer will not play for Bayern Munich before their Champions League tie against Liverpool. The Bayern captain has missed Bayern's last two matches with a hand injury and is not expected to face former club Schalke in the Bundesliga on Saturday. Bayern lost 3-1 at Bayer Leverkusen last weekend without their number one goalkeeper and conceded a further two goals in an extra-time win at Hertha Berlin in the DFB-Pokal in midweek. But Kovac will not rush Neuer back to fitness ahead of Bayern's trip to Anfield on February 19, with Thomas Muller already ruled out of the two-legged tie through suspension. "The last decision is always with the player," Kovac told reporters. "We talked together [before the Hertha game] and he said: not yet. And probably not for tomorrow's game. "We'll wait and see how it develops and we will not use him until Manuel says he is okay. "I cannot say exactly how it [the injury] happened, we had a very intensive goalkeeper training. "Our doctors, our staff and [club doctor] Hans-Wilhelm Muller-Wohlfahrt take care of him." Bayern could also be without Arjen Robben after the veteran winger reportedly broke down in training this week. "Arjen wants to be 100 per cent pain-free to get to his top performance, which he is not at the moment," Kovac added. "We are working on it, making a prognosis does not make sense. Arjen is like a seismograph, he feels something right away, I'm so sorry." New Colombia coach Carlos Queiroz said this week James Rodriguez needs regular games in order to hit top form. The playmaker has been restricted to six Bundesliga starts this term and his future is unclear, a two-year loan from Real Madrid set to end at the conclusion of the campaign. "I've already said that James Rodriguez is an extraordinary player," Kovac said. "We needed to ease him in somewhat after his injury, but when he is fit he plays like he did against Hertha: brilliantly! And that's the best argument for selecting him."